From a former US government advisor on agroterrorism comes a ripped-from-the-headlines debut thriller about a global plot to release a deadly virus and the elite response team who must try to stop it. 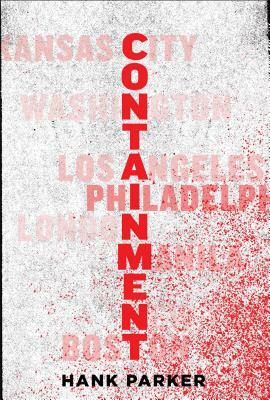 When a gruesome new tick-borne virus breaks out near a major US city and the outbreak is traced to an extremist group in Southeast Asia, the race to stop a global bioterrorism conspiracy is on. Government epidemiologist Mariah Rossi must leave the safety of her lab to help fellow scientist and covert CIA agent Curt Kennedy track the disease back to its source. Their worldwide net leads them to an underground lab in the jungles of the Philippines, then to a deadly and climactic battle in coral reefs near Malaysian Borneo, and finally to London and back to America, where the virus must be contained. For fans of Michael Crichton and Richard Preston, this chilling, realistic thriller is a terrifying reminder of how vulnerable humans are to biological threats—and in this instance, just one tick bite away from catastrophe. Hank Parker holds a PhD in biological oceanography and is an adjunct professor at Georgetown University’s School of Medicine, where he teaches a course on biological threats to food and agriculture. He formerly served as a Senior Executive and Acting Director of Homeland Security for the Agricultural Research Service of USDA and has published and lectured on bio- and agro-terrorism. He lives in Vermont.